Inspiration comes in many forms, shapes, colors and textures. 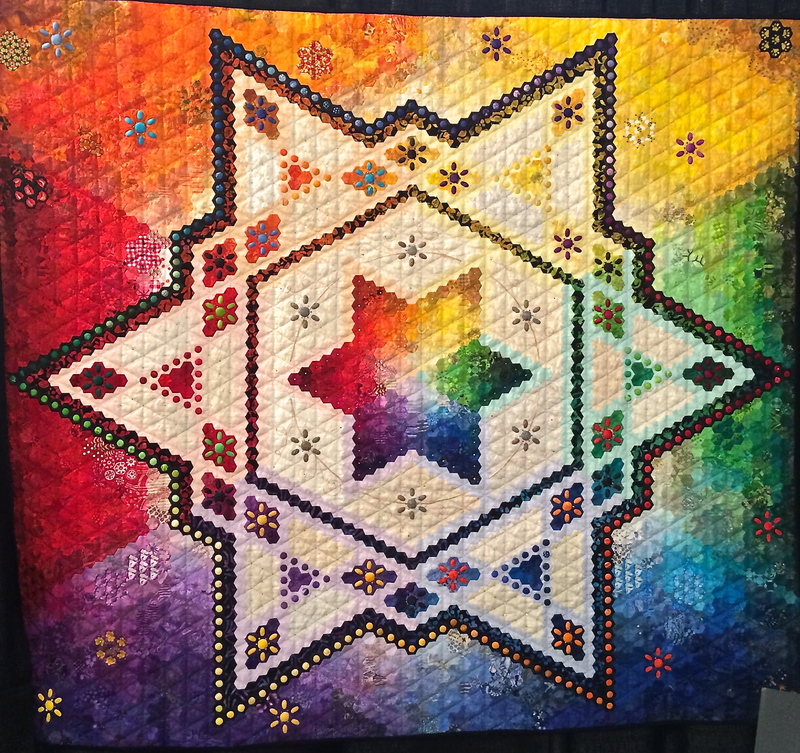 The recent International Quilt Festival in Houston, Texas was an incredible exhibit of inspiration, new experiences and opportunities to feel the artistic synergy of so many artists gathered in one place. One of the most compelling experiences in viewing so many different pieces of art together at once, is the realization that each artist creates such divergent images in their minds. These two photographs of some of my favorite pieces at the Festival, is a perfect example of that divergence while traveling the road of inspiration. 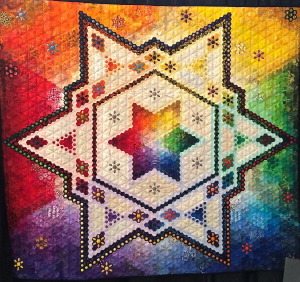 Cheryl See is a very talented traditional hand quilter who sees color as a vehicle for expression in each very small piece of fabric used in her work. Ferret is a wonderful quilt artist who sees thread as her vehicle for expression in each of her works of art. 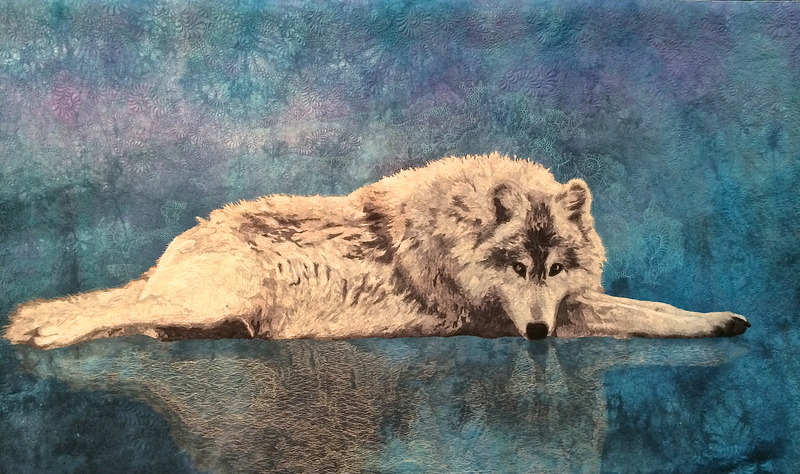 Different approaches to creation, yet very much alike in the inspiration of color, texture and form that lend substance to the images in their minds. Opportunities to fill our own personal “well of inspiration” are critical to being able to bring the images in our minds to life. Take each view of another’s work as a chance to see and feel inspiration from a different perspective. So many colors of inspiration abound around us each day we walk with our eyes open to possibility.